Summer Time. Camp Information | Playing On The Edge Basketball Program Inc. 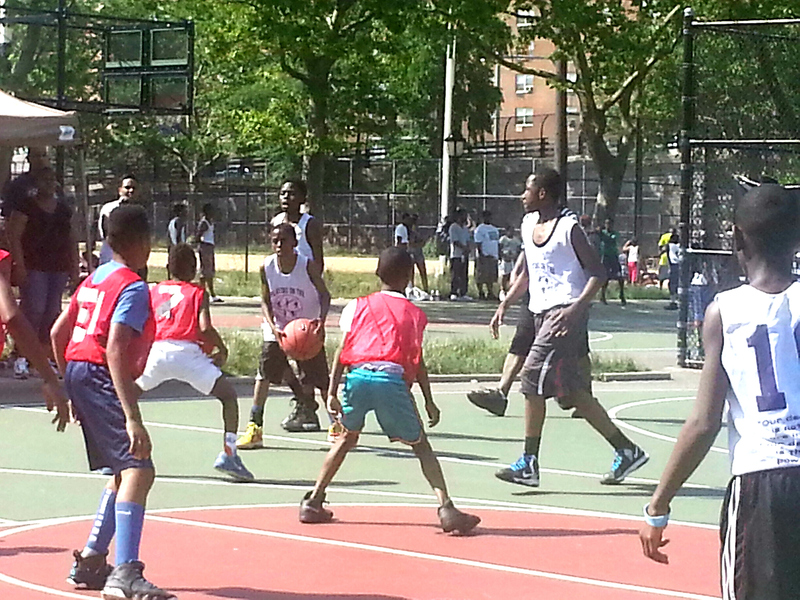 Playing on the Edge Basketball Program Inc. will host its’ 4th Annual Basketball Summer Camp 2014.The camp will open for registration on Saturday, June 21, 2014 at 9-12 am, at the outdoor basketball courts at Jackie Robinson Recreation Center 84 & Bradhurst Avenue(between 150-151st sts). Please bring a recent physical form signed and completed by your child’s doctor. Forms must be signed within the year otherwise they are void. If you do not have a physical signed and completed at registration note that the deadline is July 5, 2014. Should you have any questions do not hesitate to contact Coach Siran at 646-525-6364. Looking forward to seeing all players and their parent/guardian (over 18) there. Thank you! Playing on the Edge at Children’s Village is hosting its First Annual Ceremony at the Children’s Village in the Polo Grounds. Dress to Impress—Semi Formal attire is required. We will be honoring You players for all of your hard work, dedication and extraordinary efforts! You may invite parents and guardians to this event. Lite refreshments will be served. Thank you for making this year such a great success!! CONGRATULATIONS TO PLAYING ON THE EDGE AT CHILDREN’S VILLAGE CHAMPIONS !! You did it- made it to the Nike/DYCD’s Playoffs at Floral Park, Queens!!!! Each of you are a winner in heart! Shout Outs to the 2013 Team!! Angel, Brian, Chauncey, Devaughn, Elijah, Naji, Reggie, and Wayne. Inviting All to Come out Saturdays (6/22-8/3) at 3pm to Support Team Playing on the Edge/under 13 division at the Gladiator Summer Tournament at the Charles Young Park located at 145th St & Lenox Ave .